I'll be doing a review of these units in the near future. Now, regarding my upcoming experiments in field recording. I’d like to begin very simply by assembling in-recorder montages of audio, in a similar fashion to how early film makers might have worked, in serial fashion, absent the sophistication of layering multiple tracks together. The challenge will be assembling, in-recorder, a “finished” production, design-wise; instead of what a sensible person would do, which is to digitize the files and assemble a more sophisticated production in-computer. Later on, as my skills grow, I'm certain my technique will become more sophisticated. 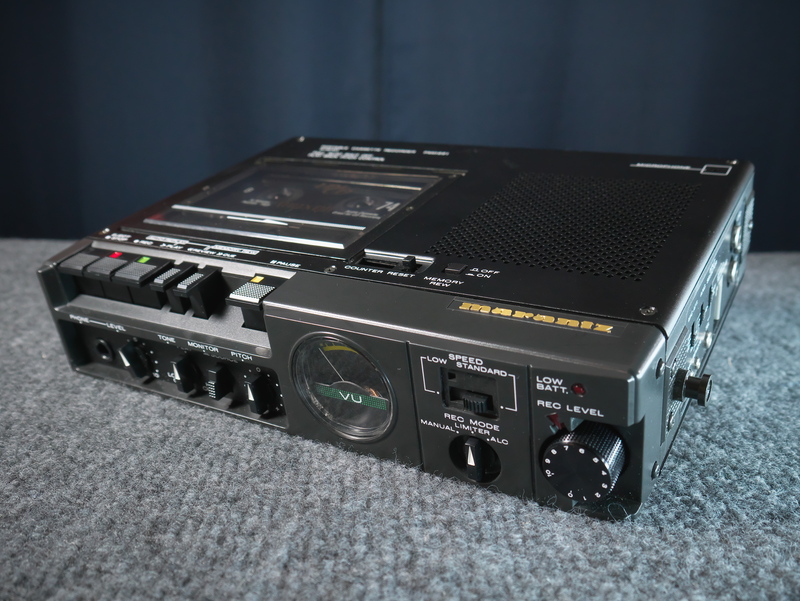 For now, I'd like to discover for myself the rudiments of tape-based field recording. 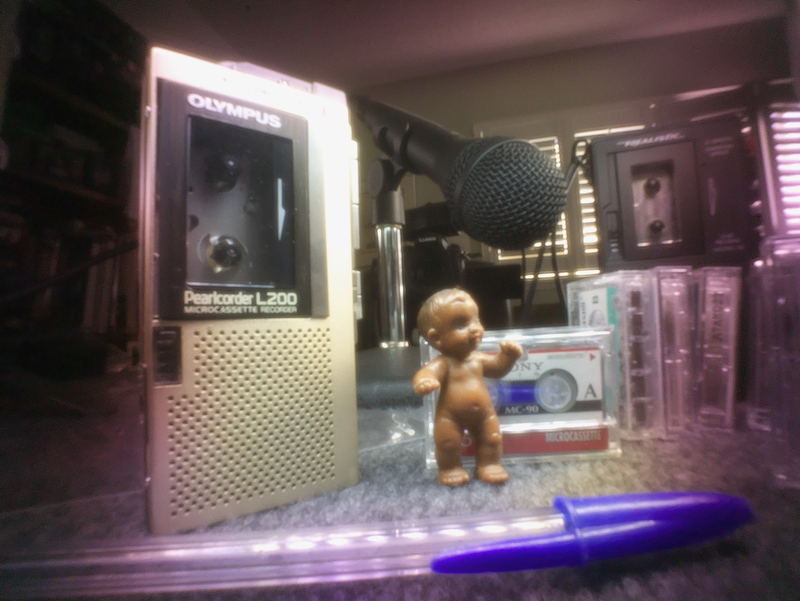 My intention will be to create audio stories as finished, tape-based, stand-alone pieces that can then be augmented with an appropriate montage of video scenes to help flesh out the sound space. It is all too easy to create a product where the video is predominate and sound becomes secondary; such is the nature of video editing software. I’d like to try the inverse, which presents its own complications. This won’t be easy - as modern technology seems to enable creativity by means of technical innovation, I'll be tinkering with crude in-recorder editing methods, or crafting audio/video productions not ideally suited to this purpose. My aim is decidedly not what you’d do if commercial interest or efficiency were one’s primary concern. In fact, it might be a boring flop. I'm sure I can amuse myself listening to hours of tape, but producing something view-worthy for an audience is something else. Don't hold your breath, as they say. I’m trying to see with my ears, to learn to story-tell primarily with sound; as a means to harken back, if only symbolically, to those earlier ages when stories were, literally, passed from mouth to ear. 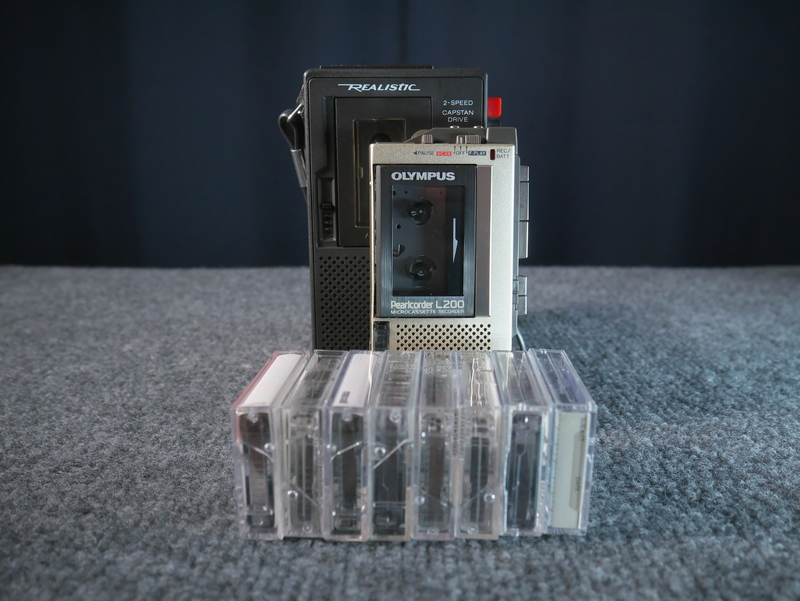 You might be interested in the related field of artists using cassette tape audio as a source for experimental, electronic music. Hainbach is one such artist. Check out this video of him using a Walkman as a source for his synthesizer rig. You might notice near the end of the piece how he shakes the Walkman to induce strange vibrations in the sound scape. Wonderful stuff. PPS: The top photo was made using the Pinwide pinhole body cap in my Lumix G7 camera. I don't do this very often, because as small as the pinhole is, it does permit dust to enter the camera and spot the sensor, requiring a cleaning. Still, I love the effect, once in a while. Regarding the coffee stains on the paper, perhaps this was a bit ham-fisted and overdone, but I wanted to experiment with purposefully distressing the paper prior to typing. This is a pad of old, partially yellowed and stained paper that inspired me to experiment. Maybe a forthcoming video on the subject! Not relevant to this post, but I wanted to thank you for your video that begins with discussing Gerald Murnane. I'm glad that my post inspired an episode of your YouTube series. Type on! Interesting premise. I expect you will be experimenting wildly and presenting us with yet another one of your cool YouTube videos. As a side note, I just read this article on music and the brain. Food for thought. Whoa! Which is the video that talks about Gerald Murnane? I'm interested! Awesome post Joe, interestingly this series coincides with my move to Europe and your posts and videos have reminded me to listen as well as look. Many sights and sounds of hotel life in the middle of a busy European city are definitely different from the rural setting on the outskirts of Omaha, Nebraska. Others, like a coffee shop or shopping center are essentially the same but with different languages.